Harrisburg, PA WW/Press/July 14, 2017– Shaun E. O’ Toole, Sole Practitioner, of The Law Office of Shaun E. O’ Toole was selected for inclusion in the forthcoming Top Attorneys of North America 2017 edition of The Who’s Who Directories. 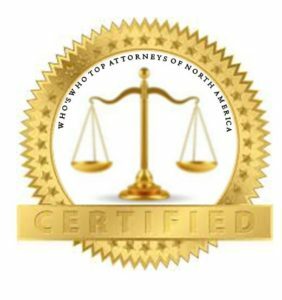 The accomplishments attained by Mr. Shaun E. O’ Toole in the field of Legal Services warrants inclusion into The Top Attorneys of North America. As a sole practitioner, of the firm Mr. O’ Toole is the most trusted attorney in estate planning, elder and probate law, representing clients throughout central Pennsylvania, including Dauphin, York, Lancaster, Perry and Cumberland counties. Other legal services the firm provides is will writing, trust formation, medicaid planning. The law firm is there to help families with difficult legal decisions and to provide peace of mind and empowers families to make well- informed legal decisions. Attorney Shaun E. O’Toole has more than 30 years of experience as an estate planner and probate lawyer. Client’s can trust him with their legal matters in planning a last will and testament, living will, living trust irrevocable life insurance trust or drafting a durable power of attorney, medical power of attorney, or Medicaid and nursing home planning. His in-depth knowledge of court cases, best practices and array of actions that may be taken provides families with the understanding and confidence to make the right decisions. He will go the extra distance in accommodating elderly clients by counseling them at their home, nursing home, assisted living or hospital. It is hard enough for families to deal with the challenges of aging loved ones. By having the estate planning, living trusts, living wills and other elder law issues in order, provides a peace of mind to focus on the most important issue: caring for and enjoying your loved ones. That is the firm’s reason for existence. Mr. O’Toole is a graduate of the University of Pittsburgh receiving his BA and his J.D. from Duquesne University. He is a member of the Dauphin City Bar Association, City of Harrisburg Parking Committee and Planning Commission, Board of Directors Camp Curtin YMCA and HAMM Camp Chris “Handles” Franklin Foundation, Legal counsel to Chris “Handles” Franklin. 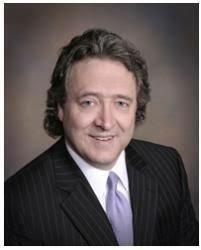 Mr. O’ Toole was awarded the Top 10 Best Attorneys of the State of Pennsylvania. Be the first to comment on "Top Attorney – Shaun E. O’Toole"